The Georgia Institute of Technology is a premier research institution and one of the top public schools in the country. Its variety of academic programs, teaching staff, and internship opportunities make it a leader among universities. Students from around the globe compete for admission. Gatech.edu effectively communicates the world class standing of this historic institution. The website provides comprehensive information about the school in an easy-to-navigate format. Upon arriving at the homepage (see artifact here), there lies a compelling slide show which links to interesting stories that give the user a feel for what life is like at Tech. The tabs provide categories that most users would fall under so that the information presented beyond that point is best fit for that specific user, whether it be “parents,” “alumni,” or “prospective students.” The addition of a search bar to the homepage makes it easier for the user to find relevant content. 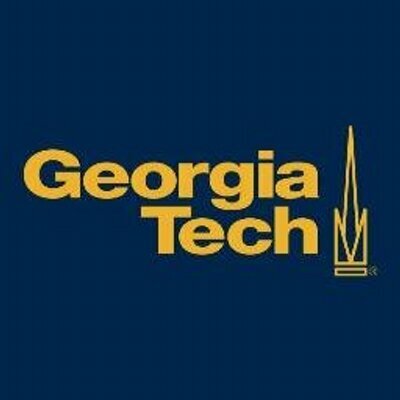 Under the menu tab, it gives more information about who Georgia Tech is. The site’s hundreds of pages are clean, modern, and consistently framed with black and gold. The design is intuitive, and the tabs are clearly marked and in a precise order that is most helpful to the user. In addition, the site provides stimulating and engaging photos and videos to help its user better understand the work Tech is apart of. A unique feature I discovered on the site is a page where the user can provide feedback. Interactive fields are provided for the user to express their questions and concerns. The public has no access to directly comment on or change any information on the site, but this feedback option gives the user the feeling of freedom to express their opinion. The many pictures on each page give me the impression that Tech is an enjoyable place with many opportunities during a student’s time at the school and after they have graduated. Although it took some concentrated searching, I found an “accessibility” link at the footer of one page. 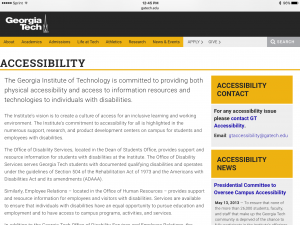 The accessibility page gives ample information on how students with disabilities are accommodated on campus. There are many links on the page to other organizations like projects at Georgia Tech whose purpose is to better the lives of those with disabilities. 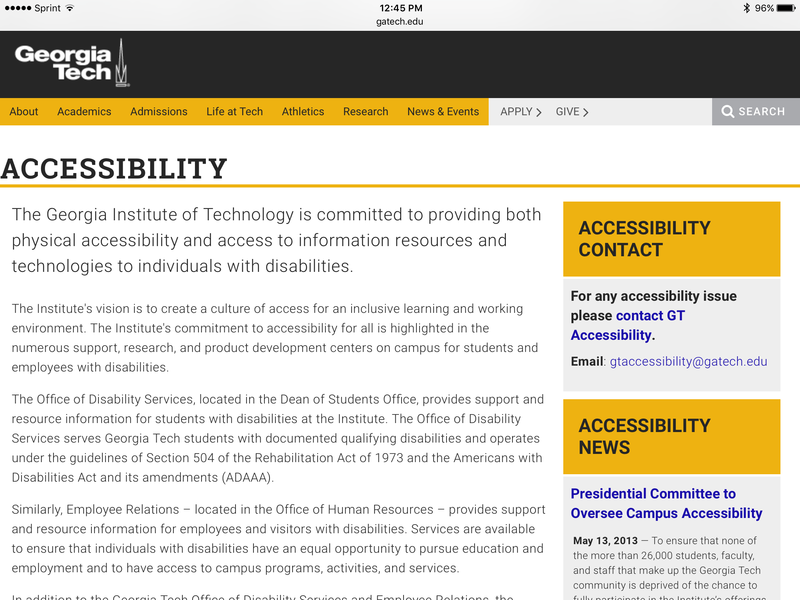 There is an email address for those who may have questions about Tech’s accessibility. The website provides ample information on the research done at Tech, dining options, events around campus, sports and the music program, and much more. Tech’s website is successful in its purpose to recruit prospective students and to give details about what life could be like for the website user.